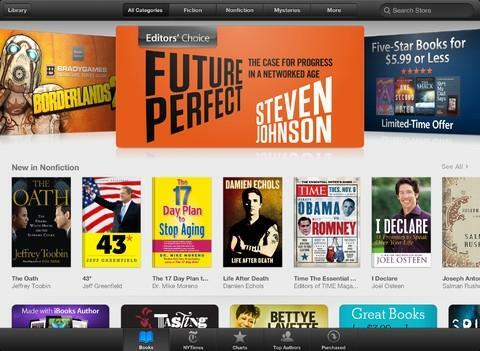 Apple on Tuesday updated its iBooks application for iOS, adding access to its digital iBookstore to users from Japan. Update: Apple on Tuesday issued a press release officially confirming that the iBookstore is now open for business in Japan. It was mentioned that the iBookstore is now available in 51 countries, while the iBooks app for iPhone, iPad and iPod touch has been downloaded 130 million times worldwide. iBooks 3.1 is now available for download from the iOS App Store, and includes hundreds of thousands of books available for purchase in Japan. Titles include fiction, manga, light novels, and more. The latest update to iBooks also adds what Apple said are a number of improvements for reading Asian-language books. iBooks 3.1 is a 43.1-megabyte download.